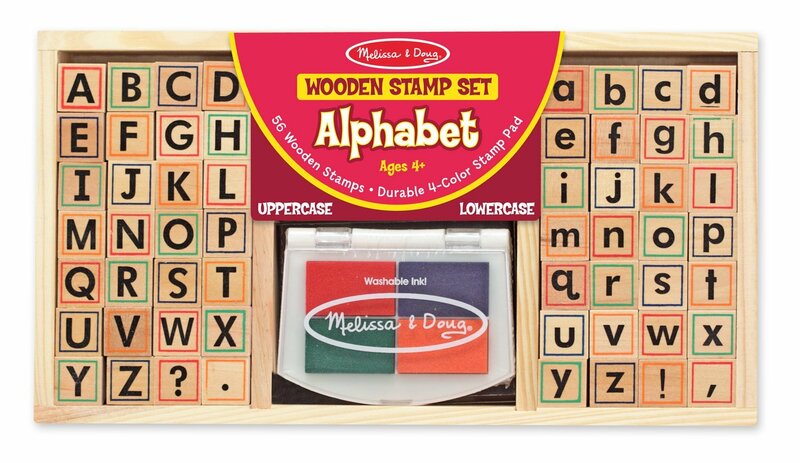 - 56 high-quality rubber stamps with contoured wooden handles. - Set includes upper- and lowercase letters, plus period, exclamation mark, question mark, and comma/apostrophe/quote mark. 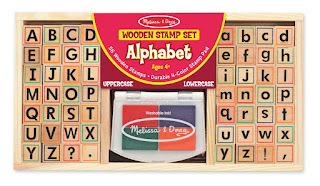 - Stamp pad includes 4 colors of washable ink: red, blue, green and orange. 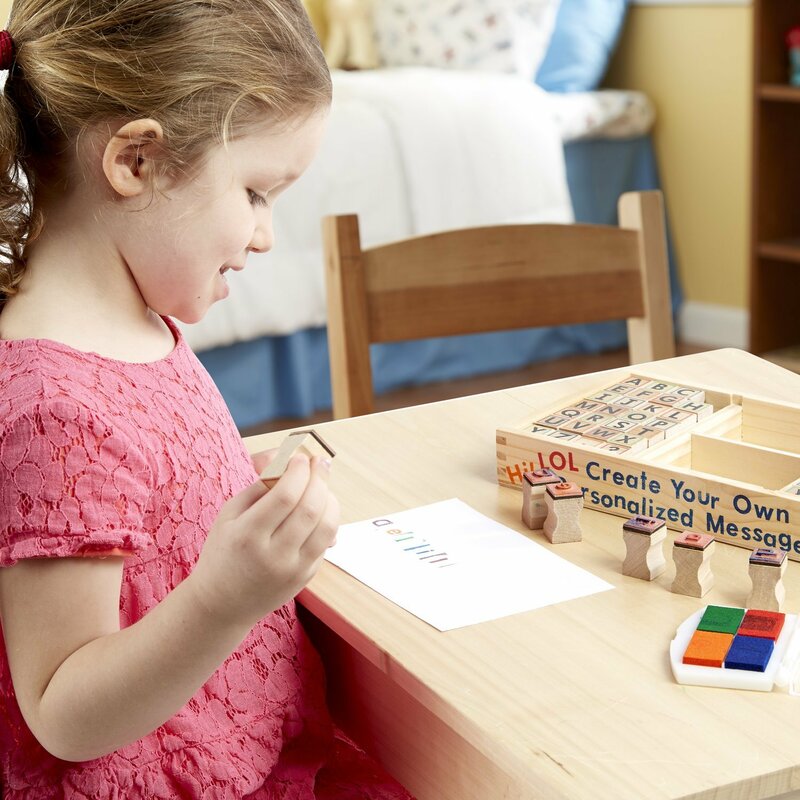 - Housed in a sturdy wooden box for organization and storage. 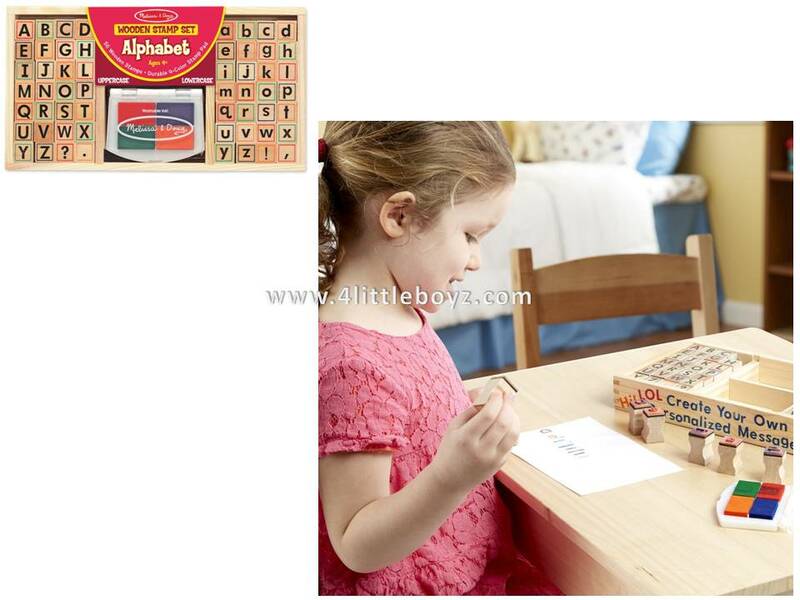 - Encourages letter and color recognition, hand-eye coordination and creative expression.